In these years, we have witnessed the sea change in smartphone, mobile application as well as application development framework. Today, lots of frameworks are available in the market. Some of the frameworks are open source. Framework is just the platform that has integrated environment with required tools and widgets. The framework has made the development task easier and cost-effective. The most imperative framework that has currently grabbed the market attention is Titanium. What is Titanium App Development! 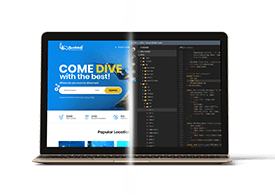 Enables with Latest Web Technologies: Titanium apps development platform compiles major web technologies, such as, HTML5/CSS3, Ajax and jQuery. That tend to make web based application easier. And, it ensures non-compatibility issues with every browser. Here, programmers don’t need to write single code multiple times as per different browsers. Ensures Compatibility with Every Device: Today, there are lots of computing gadgets available in the market, such as Mobile, Smartphone and lots more. And, there is no doubt that they all possess different screens. In this way, it can help developers in developing apps that can scale automatically across the screen size. Supports Native Feature: Titanium application development platform has numerous of independent APIs that make the interaction easier. The mobile apps can easily integrate with native features, such as GPS, Camera, Sensors, Navigation and much more. Titanium Application Development is loaded with lots of advanced features that is very much beneficial for developers by following ways. SEO-friendly: It has been cleared that there is no need of multiple coding for simple application. Thus, it is easy for search engine crawler to seek the web application. Titanium application development is changing image of apps development industry. It will surely bring revolution in the application development framework. Hopefully, you all are now aware of Titanium Application development framework. What are its features and benefits. If you have any problem or confusion with this blog, you can share your views at comment section given below.